OMAHA, Neb. — Watch live streaming coverage of the 2018 College World Series elimination match between Oregon State vs. Mississippi State on Saturday at TD Ameritrade Park here in Omaha. The television coverage will be on ESPN with Karl Ravech (play-by-play), Kyle Peterson (analyst), Eduardo Perez (analyst) and Laura Rutledge (field analyst) making the call. The Beaver Sports Network will also provide live broadcast and you can follow online by visiting osubeavers.com. No. 3 Oregon State forced a second game against Mississippi State (39-28) by hammering the Bulldogs 12-2 on Friday to stave off elimination and improved to 21-9 under head coach Pat Casey in postseason elimination games. 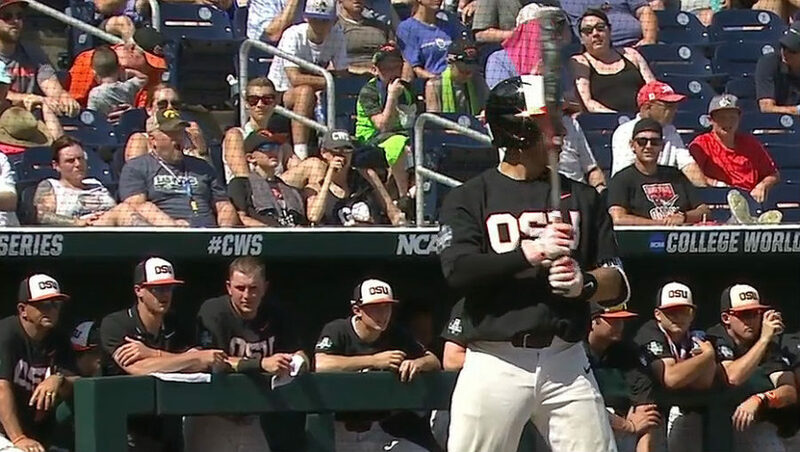 The Beavers (52-11-1), who entered the College World Series as one of the title contenders to win the national title, will need to deliver another strong performance to stay alive in the NCAA tournament. Mississippi State, meanwhile, was suffering its first loss in the 2018 College World Series and will be hoping to shake off Friday’s defeat with a victory in a game that will see the winner earning the right to advance to the College World Series Championship. No. 5 Arkansas awaits the winner after the Razorbacks bounced No. 1 seed and defending national champion Florida on Friday to advance to the championship game on Monday. The Bulldogs head into Saturday game confident, having won five straight elimination games in the postseason this season. Another win for Mississippi State would see the SEC side making a return trip to the College World Series Championships for the first time since the 2013 tournament.